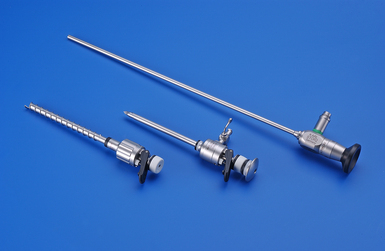 Thoracoscopy is surgical endoscopic evaluation of the chest cavity. This involves placement of an endoscope and associated instruments into the chest without the risk and discomfort associated with traditional surgery of the thoracic cavity. Lungs and associated tumors can be biopsied and in some cases can be removed. The sac around the heart can be opened up if fluid is accumulating (pericardial effusion) and some congenital birth defects can be treated (PRAA). Thoracoscopy generally requires 2-3days hospital stay but diminished pain and more rapid recovery and return to function make this a good alternative to traditional chest and heart surgery for some patients.